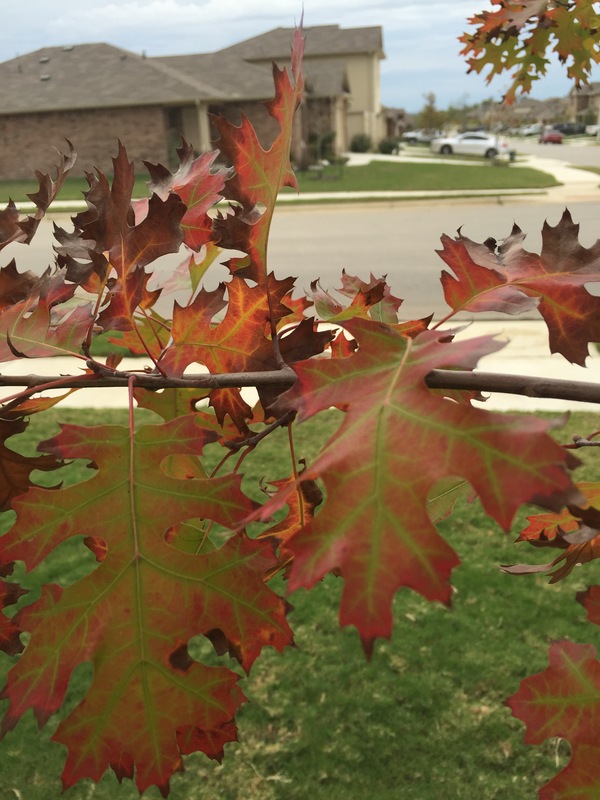 There isn’t a lot of fall leaf color when it comes to our area of central Texas. At least I haven’t seen a lot of it. 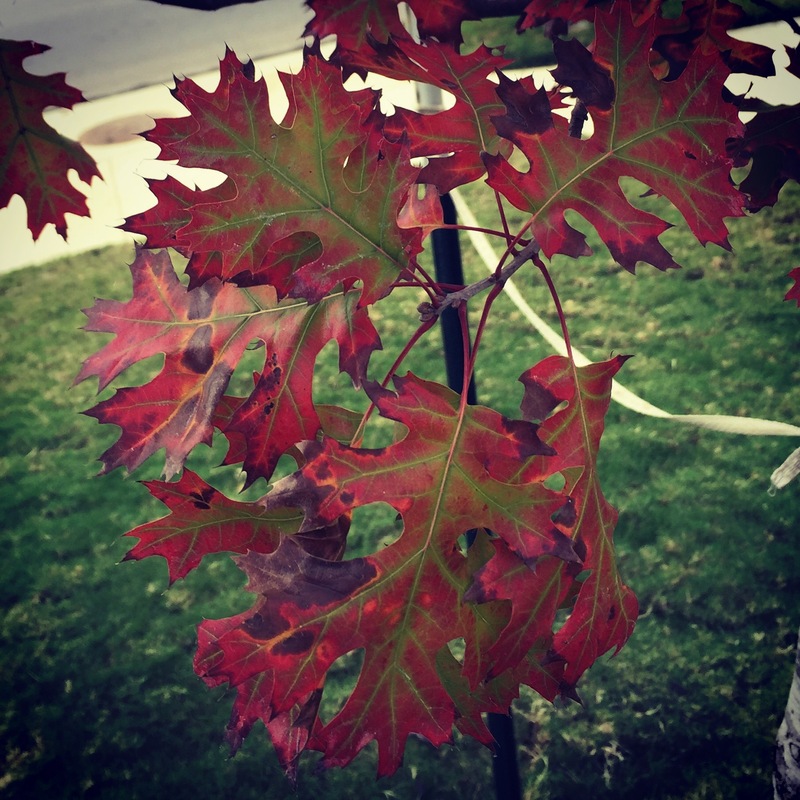 So I was surprised to see the reds on one of the trees in our front yard. That’s it, the tree in the left in the photo above. 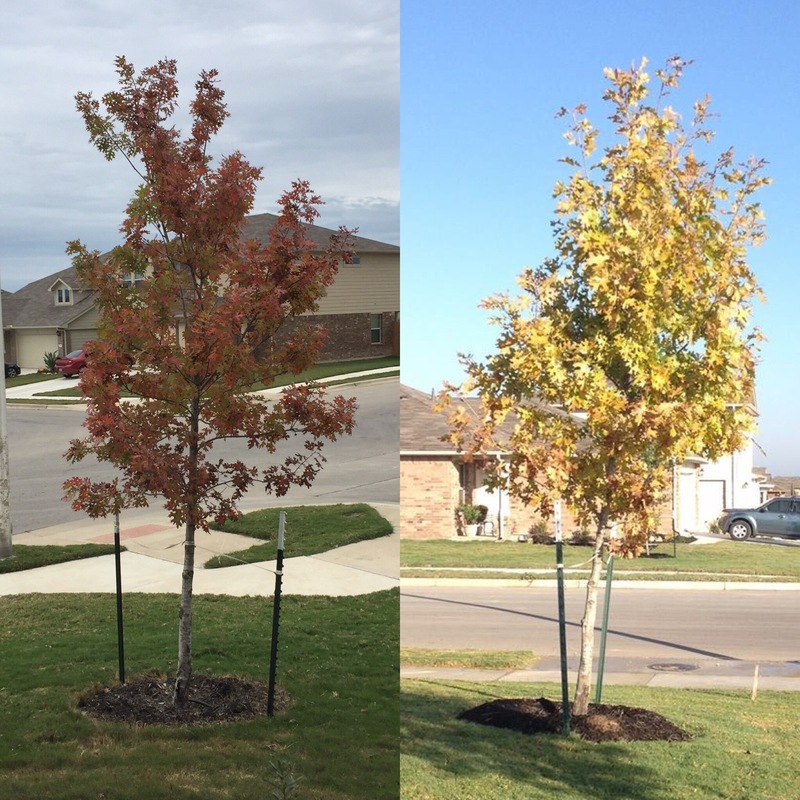 And the photo on the right is the tree a year ago. Virtually no color at all. And the hues it did have seemed like a dirty yellow. Not my idea of fall color. I’m not sure what caused more color this year. Maybe the tree just needed to get its bearings. After all, it’s only been in the ground for a year, so maybe it’s just past the shock of being transplanted. And if the leaves don’t turn a pretty red next year, I can always count on filters to make them the color I want! 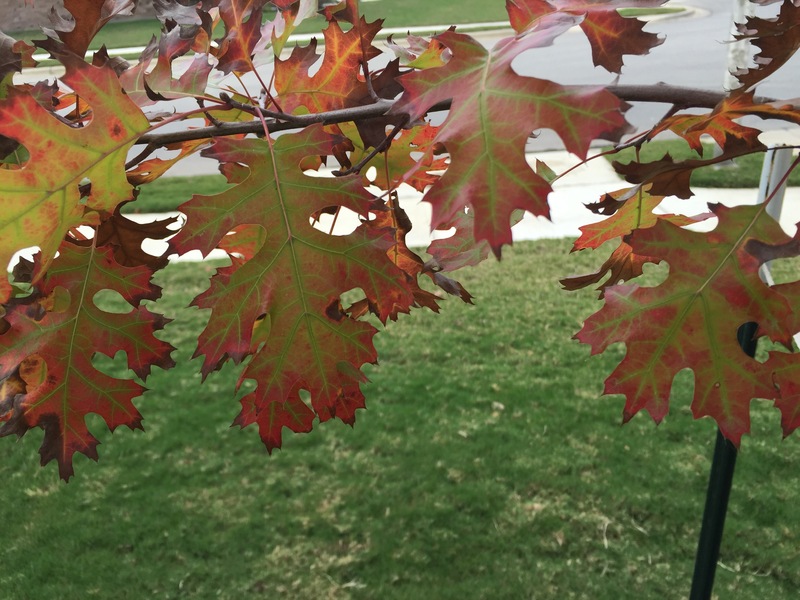 This entry was posted in Seasons and tagged fall color on November 16, 2015 by Julie Riebe.